The Illuminati are now being recognised for what they really stand for and no longer able to fool the general public or authorities all of the time. It means that progress can now be made much more quickly on the path to Ascension. It helps stop the confusion that has existed for a very long time, and now it is much easier to identify those who are working for the dark Ones. Those souls who are unenlightened are still being given opportunities to raise their vibrations and turn to the Light. For those who have a spiritual revelation, there is much help on hand and given to encourage further development. No soul is pressurized to turn to the Light, and it will be by their freewill choice. However, understand that many souls are lifting their vibrations through self-learning, and leading lives without necessarily attaching themselves to any specific religion or spiritual group. They are able to easily accept the truth when it is made known, and understand the idea of there being a “God Inside” each soul. In actual fact the most important thing is that a soul acknowledges the existence of God, otherwise their spiritual progress will stagnate. As always there is help given as soon as a soul starts to awaken to the truth. In this new cycle it is easier to evolve because the real truth is slowly being given out, because as souls evolve they are more open to it and aware of it. The world you are beginning to leave behind is in sharp contrast to the one you are heading for where happiness and well-being are paramount. Where negativity is non-existent, love and kindness are embodied by every soul. 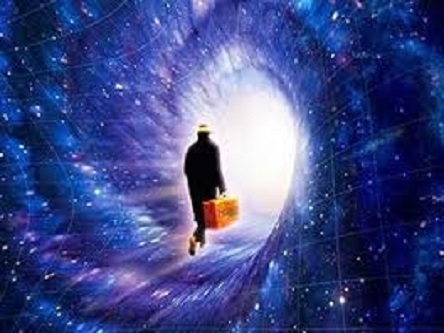 Humanity is setting a course for the higher dimensions, and in your terms they are not so far away. Your many friends from the higher levels are keen to make open contact with you again and from their perspective all is in the now, and they know that a great reunion is going to take place with wonderful celebrations to acknowledge your achievement. You have travelled a long path full of experiences and not all have been by choice. Whatever your life-plan is intended to achieve, there are always points where you need guided to ensure have the experiences that you have agreed beforehand that are essential to clear your karma. Your Guides will most certainly point you in the right direction and help ensure that you clear your karmic responsibilities. Bear in heart that nothing happens by chance, so make the most of such experiences as they help you to make further spiritual progress. The Earth has been likened to a Rehabilitation Colony and in a manner of speaking it is correct, except that you have total freewill. You must know by now that by your actions and thoughts create the pathway that you call your future. It is all happening within a Master Plan for Humanity’s evolution, a proven path that leads to a successful conclusion. You must by now be aware that your experiences are of a cyclic nature and because of it you are creating your own future. As you are often heard to say “What goes around comes around” and now you can understand its meaning. So when you learn of crimes against people realize that it is most likely a karmic situation. As has been said before, nothing of any importance happens by chance and it is not given to you to know the reasons behind them. The time of death is natural but can be karmic, and sometimes a soul will leave the Earth at a very early age having completed its life plan. You are at a stage now when many people are sufficiently evolved to have reached a point where they are able to grasp the truth about life on Earth. They are able to plan their experiences and are intuitively aware of what they need to continue evolving. It helps you make the correct decisions in your life and avoid un-necessary karmic situations. Realize that usually many other souls are involved and all sharing the experiences with you. Sometimes whole families are involved and help each other to evolve together. The truth is that you never know who you might meet who has a part to play in your evolution. This entry was posted in Uncategorized and tagged God Inside, great reunions, higher dimensions, love, Mike Quincey, peace and blissfullness, vibration lifting by self-learning. Bookmark the permalink.